A great example of the export embroideries that sailors to the Orient brought back home from their trip. This one says it is in memory of his trip to Japan, China, etc. 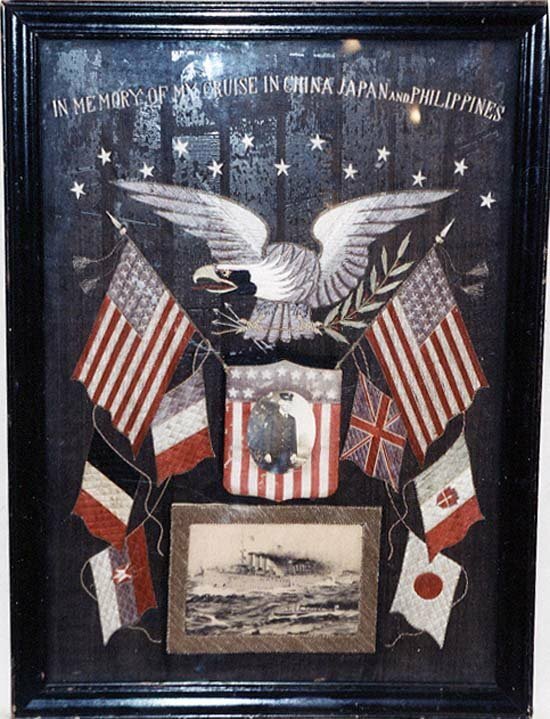 It contains period photos of the sailor and his vessel, along with all the patriotic accoutrements - flags, an eagle, etc. In pristine condition and original frame, marks on glass only from shipping tape need to be cleaned off!